It’s here! Frances Suzanne’s big year long sewing series has begun. Each month there is a different pattern to “flip” and a few competitors will show their versions which we can then vote on. There’s also a linky for sewing along and we all know how much fun that is, right? You can go here to check out which patterns will be flipped each month and see the amazing list of competitors. I am honored to be included in the group of competitors this year, but I don’t compete until September. So for now I’ll be participating in the sew along and drooling over the flips shown each month. 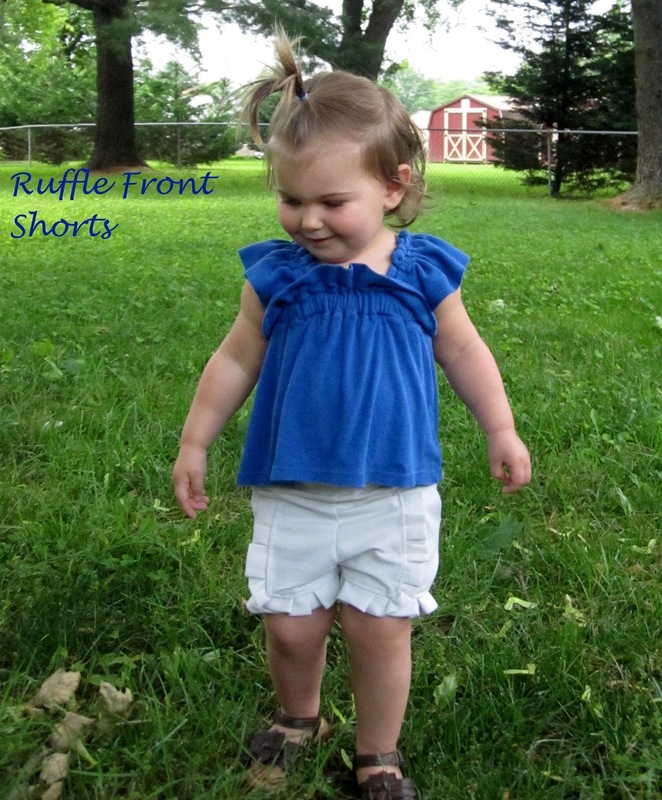 June’s pattern to flip is Elegance & Elephants’ Bubble Pocket Shorts (*affiliate link). 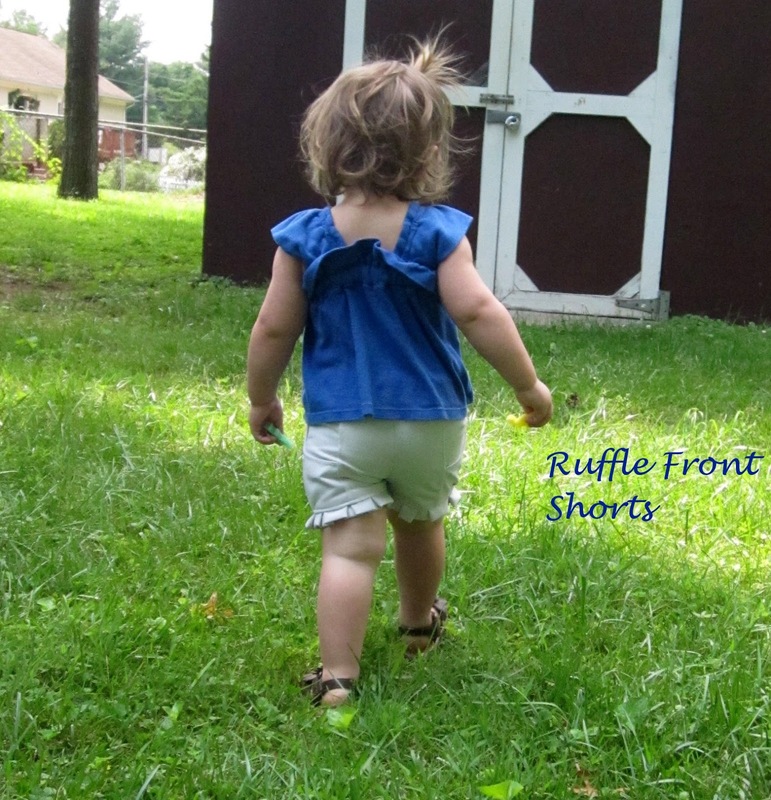 You may remember that I tested Heidi’s Ruffle Top pattern and was so excited when I heard she was releasing these adorable shorts. I bought the pattern right before Kids Clothes Week, but didn’t get my act together in time to make them until a week or so ago. I immediately fell in love with those adorable shorts. I’ll post about the original pair I made another time. This post is all about flipping! 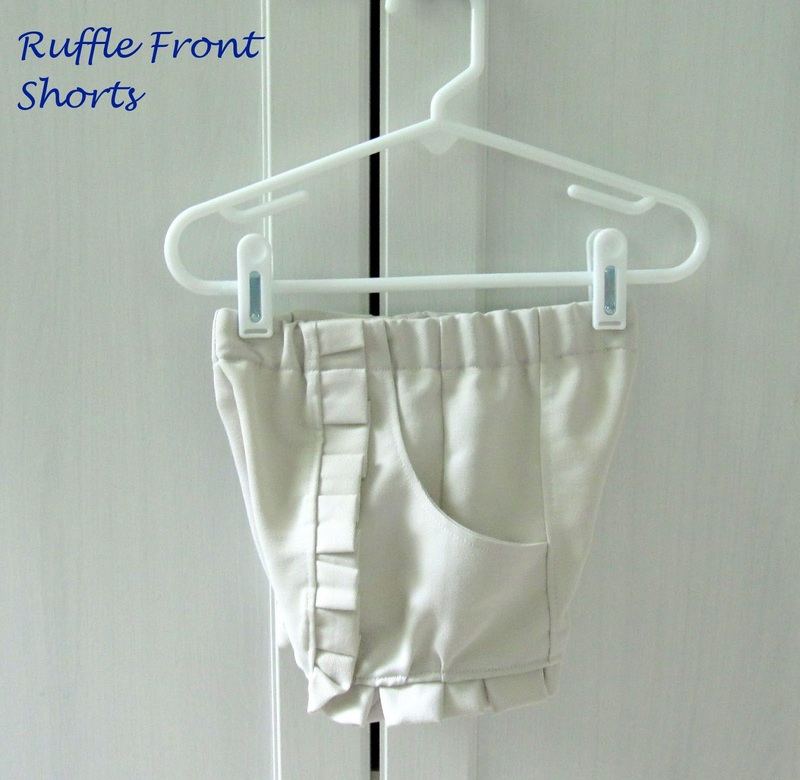 As I was making the first pair of bubble pocket shorts I realized the construction would be perfect for these inspiration pair of shorts I’ve had pinned forever. They are from J Crew and cost $50, but I knew I could make them myself. I don’t know why I waited so long. I’ve been wanting to make them since before Bean could walk! Since Heidi is the queen of knock offs (seriously check out her Knock It Off flickr group), I thought it fitting to both FLIP and KNOCK OFF at the same time, hehe. They came together so easily using the basic construction and pattern pieces from the Bubble Pocket pattern. For fabric I used an old pair of my husband’s khaki pants that had too many holes to be worn to work anymore. What I did was add a curved pocket, pocket facing, lots of ruffles, and leave out the feature bubble pockets. The following are the pieces I added to flip the pattern. The height of the pocket should be the height of the side front pattern piece. 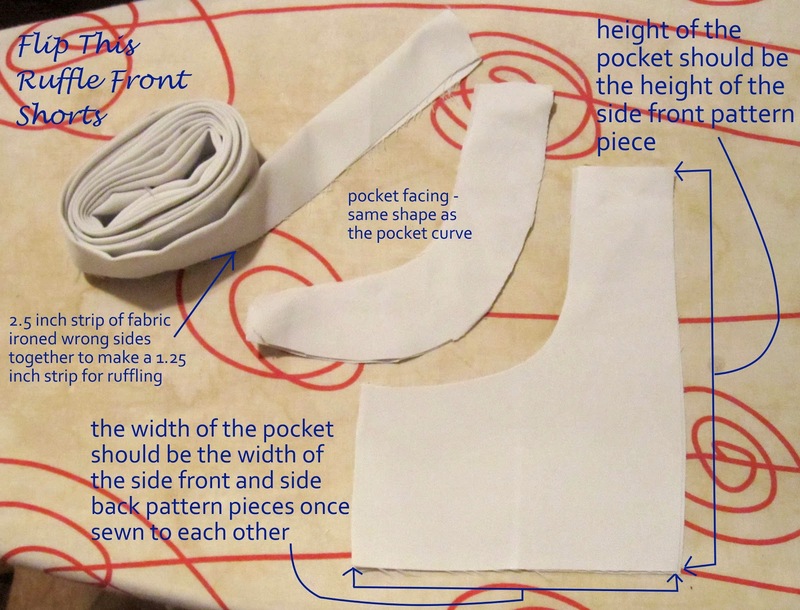 The width of the pocket should be the width of the two side pattern pieces AFTER they are sewn together making sure to include the seam allowances on the outside edges plus a little bit extra (maybe a 1/4 inch) to be able to gather the bottom edge of the pocket later. I cut out the curve in the shape I wanted and then created a pocket facing with the same curve and about two inches allowance. The pleated ruffles are made with a lot (I’m not sure exactly how much I made) of 2.5 inch strips folded over and ironed with wrong sides together to make about 3/4 inch pleats once sewn to the shorts. To create the pocket, sew the facing to the pocket along the curved edge right sides together. Finish the other edge of the facing. Turn and press the pocket facing the the wrong side of the pocket. Top stitch along the curve to keep the facing inside the pocket. Mostly I followed the pattern instructions so I won’t go into every detail. To start the ruffled pleats I lined up the strip along the front edge and created randomly sized pleats all the way around to the inseam, rounding out where the pattern piece hits the bottom edge. At this point I also lined up the side and bottom edges of the front side piece and the pocket. Baste the pleats to the front and then place the pocket/side front piece right side together to the front and sew through all the layers (front, pleats, pocket, side front) along the side edge. Then turn and press the seam toward the front. Do the same for the other side of the front/side front. 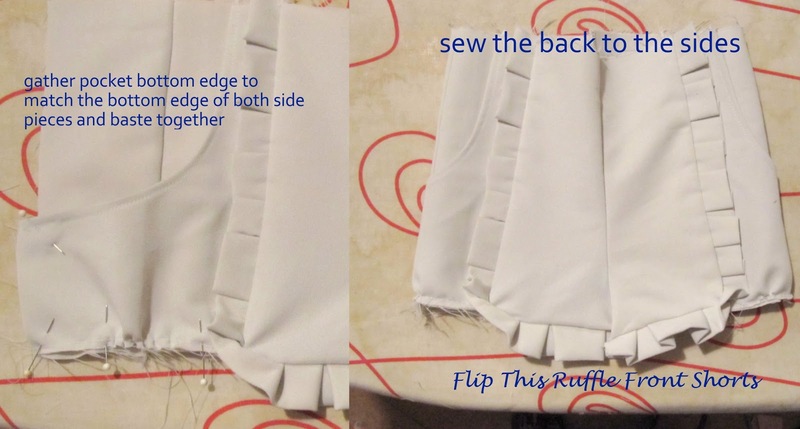 Follow the pattern instructions to sew the side back to the side front. Then gather the pocket bottom edge to match the bottom edge of the side piece and baste together. Sew the back to the side according to the instructions, without sewing the inseam together yet. Turn up the pleat on the front bottom edge to reveal the basted seam (how it looks in the picture where we basted the pleats to the front). Since there are already pleats along the bottom edge of the front piece, keep that portion flat in order to reduce bulk. I also offset the edge a bit so the front pleats would hang lower than this flat leg band portion. Then angle up slightly to the rest of the leg edge and create randomly sized pleats along the bottom edge of each leg (front including the pleats, side front, side back, and back). Sew, turn, and press the seam toward the shorts. I also top stitched along the pleated front and leg edges at this point to give a nice finished look. 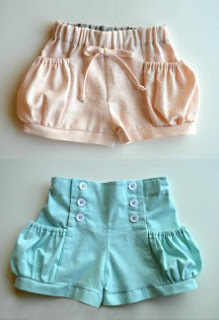 Sew the inseam and admire the cute little ruffled front shorts, hehe. I really like that the pocket wraps around to the back too. The shirt Bean is wearing in these pictures is actually a dress I made her last year from an old knit shirt I had. It was made using Craftiness Is Not Optional’s Ice Cream Social Dress tutorial and I adore it. It’s a little too short even as a shirt now so this will probably be the last wearing. Especially since Bean is begging for food every minute today so I sense an impending growth spurt. I am in love with how these shorts turned out. And the best part is that since I used the Bubble Pocket Shorts pattern as the base of these shorts, it’ll be easy to make more as Bean grows in size. The pattern grading part of the shorts is already done for me, hehe. Thanks for this great series Frances Suzanne and thank you Heidi for the Knock Off inspiration! Now go and check out all the other flips in this months linky and don’t forget to vote for your favorite competitor on June 21st! Oh! How adorable does she look in these. 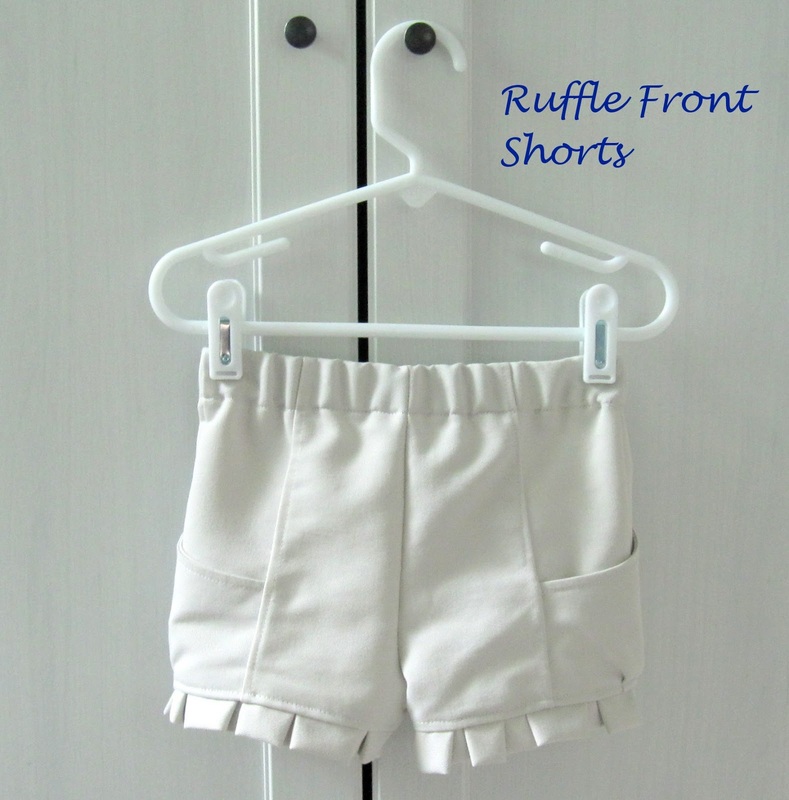 I'd thought these shorts would look cute with a ruffle, but a pleated trim is even more fabulous. WOW! What a great flip! Oh gosh!!! So, so, cute!! 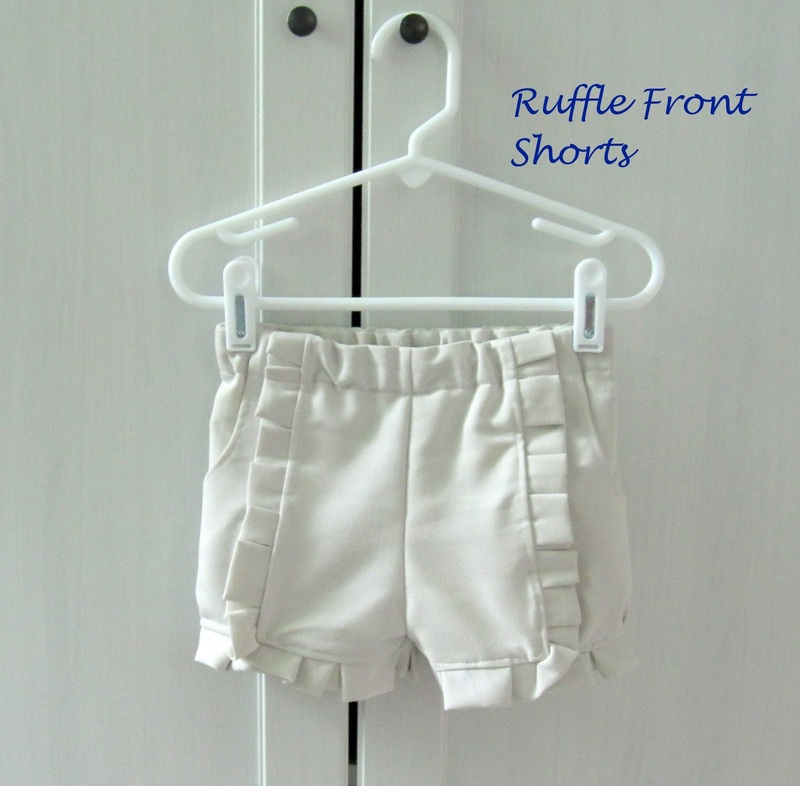 I'm loving the little ruffles! I'm ashamed I haven't been over for a while. I haven't figured out how to follow your blog without a Blogger account, so I usually just come by when I think of you or see you around the web. When are you going to get bloglovin so I can properly stalk you and soak up all this sewing goodness? you know that if you flip and knock it off at the same time you're just flipping it off, right? those are cute and i was jus thinking about trying use a pair of k-ster's pants that i have banned because they are so pajama like on him, but i want to make some shorts for myself. wonder where i will find the time for that this summer! Oh my goodness!! These are SO cute! And they fit perfectly — great job! Who doesn't love a good sew-along, right?!?!?! 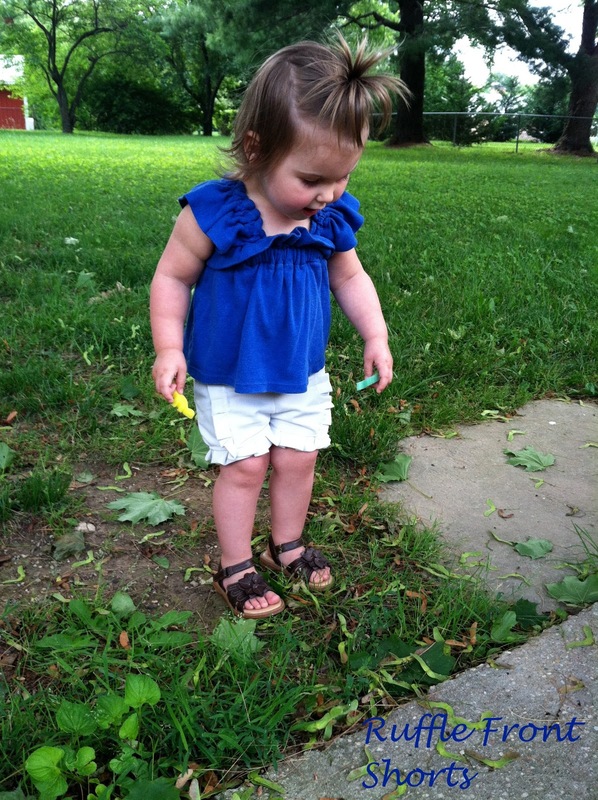 Thanks for linking up….your version is adorable! They turned out very cute – and double thanks for the tutorial that went along with it!! LOVE these, Ajaire! So classy looking, yet super cute! These are so adorable! I LOVE the ruffles. What an amazing flip! 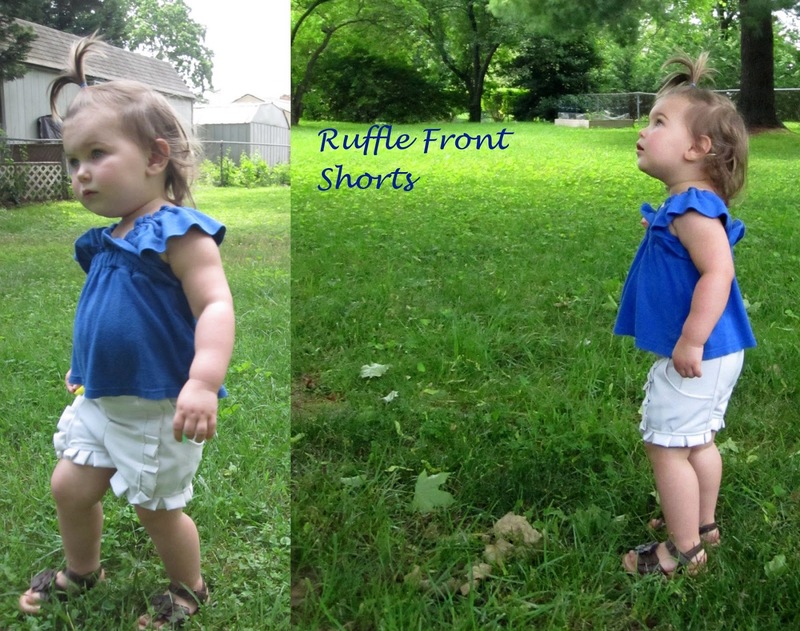 Love those ruffles! So sweet. I know my girls would too. Thanks for the tutorial. They might just have a few pairs of their own soon! Ajaire!!! I love these! I'm too tired to try to wrap my brain about the tutorial, but I can't wait to pour over it. So incredibly cute. You did gooood! Wow I would not have thought to use this as a base for your inspiration- they work awesome! I'm adding your flip to my list of to dos! They are really cute on her. These are so cute! I have pinned this for later reference, aka making a pair for my daughter. Beautiful…… It looks so neat. Really classy. I've had this pinned forever to knock off using the bubble shorts – awesome to see how well it works!!!! You did an amazing job – they are too cute! Love the ruffles. I would love to try this with different colors….maybe some red, white and blue. I really like your flip ! Like your blog too. Looks like you have a new follower from Belgium !